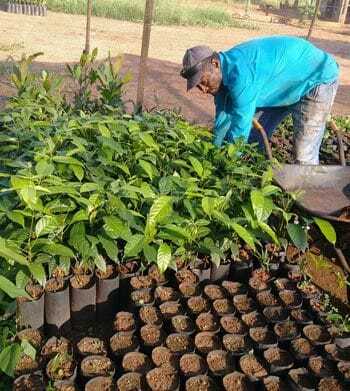 Thanks to the work of our team in Brazil and due to a number of visits from our technical partners at Bioflora, the final preparations are being made for us to begin planting this season! From the 10th of December onwards we intend to plant 10,000 seedlings along the corridor. This will be the start of our work towards achieving our annual goal: having the first million trees planted before the end of 2019! Many of these seedlings are currently sprouted and measure between 20 – 60cm. More are being prepared this week and shall be planted at Santa Fé farm, a major partner. These seedlings will grow into tall, pioneering trees that will provide a canopy for us to later plant more diverse species of native trees underneath. This is very exciting for the BJF as we enter into the next phase of our mission and begin to see the fruits of our labor emerge. Years of hard work have finally begun to culminate in the restoration of the Araguaia Biodiversity Corridor!